Do you dream of being debt free? Being free from debt is what most of the credit card holders dream of. It might seem very easy to achieve but in reality you get to know about the challenges and difficulties. It is no doubt very difficult to eliminate credit card debts but it is not impossible at all. Let us find out the tips to eliminate credit card debts. If you really want to come out of your debts, you have to stop using your credit cards. Debit card is an alternative option as it will help you to purchase within your limited budget. 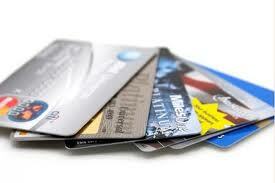 If you continue purchasing with your credit cards, you can never come out from the piles of debts. When you are struggling to get rid of your credit card debts, you have to cut downyour expenses on unnecessary things. Do you need to go out for having coffee or lunch every day? You have to get rid of this luxury lifestyle if you want to eliminate the credit card debts. There are several banks and financial companies that provide debt consolidation loans to pay off your credit card debts. But you have to be cautious and careful that nothing is being charged to your credit card. Instead of paying off your debt don’t get trapped into deeper financial crisis. When you are trapped under the debris of debts, try to make an extra payment in the months when you can afford it. This way you can get rid of your credit card debts faster. But unfortunately majority of the people make the minimum payment on their credit cards and have to walk with the debts for a longer period of time. When you have made up your mind to pay off all your credit card debts, try saving money from now and start repaying it.